Please feel free to read the most frequently asked questions that are asked about pediatric dentistry. A) Preschool children who cannot understand or cooperate for definitive treatment. B) Patients requiring dental care who cannot cooperate due to a lack of psychological or emotional maturity. C) Patients requiring dental treatment, and who cannot cooperate due to a cognitive, physical or medical disability. D) Patients who require dental care but are fearful and anxious, and cannot cooperate for treatment. As with any procedure in which a child's conscious state is altered, there are some risks involved. The main risks (serious complications) associated with conscious sedation include, but are not limited to: aspiration, respiratory arrest, cardiac arrest, and death. Because your child will be partially awake, local dental anesthesia (a lidocaine shot) is still needed, and this may limit the extent of work that we can provide. Sedation dentistry is also an option in cases of accidents or trauma, but in these situations, the decision to administer the medication must take into consideration the risk of aspiration (breathing vomit into the lungs) and any head trauma that may have occurred. If your child is a candidate for a conscious sedation, please make sure you follow the instructions provided by your pediatric dentist. Can you do all the work at once with a Sedation? In cases with extensive decay, we are limited by the maximum dosage of local anesthetic that we can use. As a rule we also consider your child's comfort after he/she leaves the clinic, in order to determine how much local anesthetic we can use. Very young children are at high risk of biting their lips or chewing on the inside part of their cheeks after they receive local anesthetic (a lidocaine shot). This usually happens because of their natural curiosity they try to feel the area or areas that are numb. 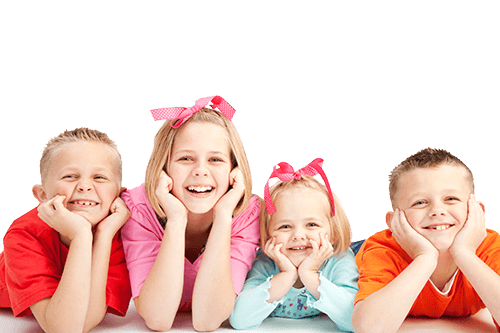 For these and other reasons it is unlikely that we could work on all of your child's teeth at once. An exception to this rule would be a child that is taken to the operating room. What is a General Anesthesia appointment and how safe is it? The use of general anesthesia for dental work in children is sometimes necessary in order to provide safe, efficient, and predictable care. The general anesthetic is given to your child by a specialist (anesthesiologist) and ONLY after the child has been thoroughly screened by a physician. Our academy (AAPD) recognizes the need for general anesthesia in certain situations where challenges relating to the child's age, behavior, medical conditions, developmental disabilities, intellectual limitations, or special treatment needs may warrant it. Pediatric dentists are, by virtue of training and experience, qualified to recognize the indications for such an approach and to render such care. Your pediatric dentist and his staff will discuss all the necessary steps that must be taken in order to promptly and safely complete your child's dental treatment after this treatment option has been chosen. Like any procedure in which a child's conscious state is altered, there are some risks involved. The main risks (serious complications) associated with an oral sedation include, but are not limited to: Allergic reaction, respiratory arrest, cardiac arrest, and death. Statistically, the chances of a serious complication are similar to those of being involved in a life threatening motor vehicle accident. Please make sure you fully understand as a parent or legal guardian all the risks involved with this procedure. Also review the instructions that you must follow the day before the procedure. Will you need to give my child a shot to do the dental work? This is the one of the most commonly asked questions that we get from our patient's parents. We try to minimize the discomfort of the injection by placing a gel that works as a local anesthetic and numbs the tissue were the injection will be administered. Profound local anesthesia is usually obtained five to ten minutes after the injection, depending on the area of the mouth where the anesthetic was placed. We always check to confirm that the area is numb before we begin to work. In cases of localized infection or trauma (like broken teeth) it is very difficult to obtain profound anesthesia, however we do have other means of supplementing the anesthetic (like conjoined use of nitrous-oxide gas, medications, or conscious sedation). Younger children, particularly pre-schoolers may interpret the feeling of numbness as pain, and therefore cry. Please follow the postoperative instructions that we give you, in order to minimize complications such as lip biting. My child's teeth have stains on them, are these cavities? When a baby-tooth changes color, it can mean many things. Baby teeth can and do normally change in color, particularly close to the time that they become loose, however, this change is minimal and should not be confused with a carious lesion (cavity). The best way to determine if your child has a stain or a true cavity is to take him or her to a pediatric dentist. Caries is an infectious disease; it progresses if left untreated, and usually is associated with pain (especially when the "cavities" are large). Teeth with cavities typically assume a darker (brown) discoloration, and depending on the extent, may exhibit loss of tooth structure. Teeth that have been previously "bumped" may also change in color. Traumatized baby teeth can assume a yellow or a dark discoloration, which may or may-not be associated with pain. Other less common causes of changes in color may be: Fluorosis, food staining (particularly tea or colas), systemic disease (hepatitis), etc. My child is getting shark teeth what can i do? One of our most common consults occurs when children around the age of 7 begin to lose their lower front teeth. Many of our parents become overly worried about this phenomenon. It is VERY NORMAL for permanent lower incisors (front teeth) to erupt behind their predecessors (baby teeth), however if a baby tooth is not loose by the time half of the permanent incisor has erupted, it may be necessary to pull it. My child has crooked teeth, will he or she need braces? Crooked or crowded teeth are very common in the growing patient. Even patients that get braces may develop a minor degree of crooked (crowded) teeth, particularly in the front teeth of the jaws, as they grow old. The first step in determining the need for treatment is what we call an orthodontic consult. During this appointment we may obtain special records and special x-rays of your child's jaw. This information will allow us to make a decision based on predicted growth patterns that your child may show later. In orthodontic terms we refer to this as Early Treatment. Early treatment refers to ANY orthodontic (braces) or orthopedic appliances (like Headgear) treatment that begins when the child is in primary dentition, or in early mixed dentition (when the first permanent teeth begin to erupt). Early treatment has been proven to be effective despite objections by some people in the orthodontic community. The AAPD recognizes that early diagnosis and successful treatment of developing malocclusions can have both short-term and long-term benefits, while achieving the goal of occlusal harmony, function, and facial esthetics. Always know that you are welcome to ask us anything you want to know about your child's dental health or any other questions you may have.